From the short lived Saturday morning cartoon series aired on ABC-TV in 1973. 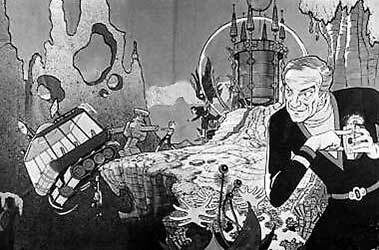 This is a 7x9 press photo of Jonathan Harris (Dr. Smith) from the Lost in Space animated series. This includes the paper attachment describing the series. 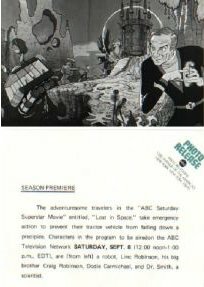 This is the first promo photo with network overhead letter promoting the Lost in Space cartoon I've ever seen. This is quite rare, seeing the cartoon wasn't on long, and was not very poplar with the fans.